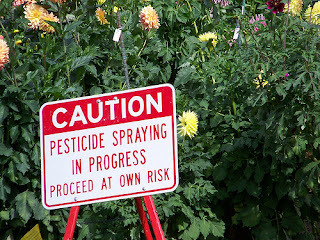 If you are using a BROADSPECTRUM insecticide and you cultivate vegetable crops like tomato, cucumber, pepper etc that require pollination to fruit (though it could be self-pollination in hybrid varieties), then spraying early in the morning isn’t advisable unless you want to kill a thousand bees which might visit your farm to help you in pollination. Bees are mostly active in the morning. So, if it is broad-spectrum insecticide, shift your spraying to late afternoon. Even if you are cultivating leafy veggies like cabbage, lettuce etc that don’t need bees at all, please still be kind to mother nature – SPARE our bees! On the other hand, NARROW-SPECTRUM insecticide can be used early in the morning; they are designed to spare some insects among which bees (and other beneficiary insects) fall. Spraying your vegetable crops during A SUNNY day might hurt them. It causes the crop to loss water to the environment quickly than usual and also causes burning particularly of tender leaves. However, on a cloudy day which you would experience many times during this wet season, you are good to go. Have you sprayed before? Do you know that for a crop to effectively use the insecticide (most importantly for pesticide with SYSTEMIC MODE OF ACTION), you must spray the under leaves and the stems. Why? The holes (called stoma, lenticels) through which gases and liquid fume enter the leaves are found under the leaf surface. So, spraying only the surfaces of the leaves would not maximized the use of the pesticide. Do you know insects too are habitual? Some insects have habit of hiding under leaves to avoid predators among other reasons which might be your insecticide. Spider mite (major insect pest of tomato crop) is a good example. Therefore, next time you spray, make sure you turn your nozzle upside down to deal with them and also enjoy the worth of your insecticide. 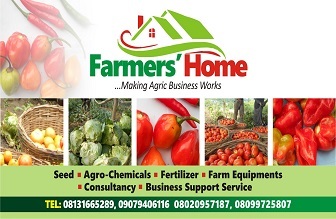 Do you know that even if you buy the most potent insecticide and you aren’t equipped with the knowledge of calculating your dosage rate, you end up killing your crop through over concentration or wasting your insecticide by using below the average dosage rate? Therefore, if you often do guess work in this area, fasten your seat belt because I am about making you an expert. This is what you commonly see on the pesticide label. You could also find others with slight variation but once you understand this, then you can equally help yourself with others. Step 1: know the capacity of your sprayer tank. Sprayer tanks in Nigeria mostly come in form of two capacities: 16L and 20L. Step 2: know the area of your farm. The area of an hectare (ha) is 10,000m2 while an acre is 4046m2. (Roughly 2.5 acres make an Hectare). Wait a minute; you may not bother with this part of step 2, I will tell you what you would do, just come along. The volume of water required to spray an hectare (ha) is 400L. This translates to 25 rounds of 16L capacity tank (average of 10 rounds for an acre) and 20 rounds of 20L tank capacity (average of 8 rounds for an acre). Step 3: Go down the memory lane to your primary school days. 1000ml make 1 Liter. The essence of this is to know the dilution requirement. Step 4: Know the discharge rate or output of your sprayer tank. Unless you are an expert, you many not necessarily bother doing this. So you know all these steps already, then let start the calculation using the table above. We would be concentrating on vegetable section. The label says for vegetable, use 1L/ha. This means you would put 1L of the chemical into 400L of water to cover the whole hectare or 160L of water to cover the whole acre. You can’t possibly mix all this at once unless you are into industrial farming with big spraying equipment. So let us go back to step 2 above. To spray an hectare, you would need 20 and 25 rounds of 20L and 16L tanks respectively. Divide your chemical (1L in this case) into 25 portions for an hectare if you are using 16L tank or 20 portions if you are using 20L tank. So let us divide your chemical. Going back to step 3, 1000ml make 1 Liter. It means 1L (or 1000ml) into 25 portions would be 40ml for 16L tank and 20 portions would be 50ml for 20 L tank. I hope you don’t have phobia for arithmetic? You don’t really need that here. You know I told you up there that you might not bother about that first part of step 2. Yes, don’t bother about the area of your farm (although it’s good you know it for plant population calculation while sowing, I would threat that in another article). All you need is the quantity of chemical per a sprayer tank (16L or 20L in this case). Using 1L/ha requirement: You need 40ml for 16L tank and 50ml for 20L tank. Then you can start spraying. Although, the dosage rate would not arm your plant at this rate, but without the knowledge of step 4 (your tank discharge rate), you might end up wasting your chemicals. Calculation the discharge rate of your tank is called CALIBRATION. This topic is for another day because it would take me time to simplify it for your consumption. Note: In most cases, you spray your crop until it begins to drip slightly off the leaves except for herbicide. 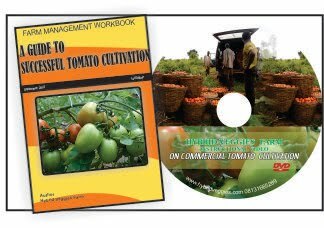 (UNDERSTANDING THE WORLDS OF HERBICIDE AND FUNGICIDE FOR SUCCESSFUL VEGETABLE PRODUCTION COME LATER). In case the dosage rate label gives you range as in the case of Tea, Coffee and Cocoa in the table above: 0.75 – 4L, you can decide to use between the two extreme depending on the severity of insect attack or infection (in case of diseases). Now that you are good at using insecticide, you need to know the health/environmental impact aspect of using it. On the bottle label, you would often see Pre-harvest interval. It ranges from one crop to another. In this article, for the sake of ease of assimilation, let assume the Pre-harvest interval is 7 days. What this means is that you should not spray the crop in the last 7 days before you harvest it for the market otherwise, there would be residue of the chemical in the vegetable produce which is not good for human consumption health-wisely. There is a strong regulation on this in foreign countries but for us in Africa, well, we are still far from that. All the same, please be kind to humanity by following Pre-harvest interval, you could be a victim yourself. Pre-entry period on the other hand varies from chemical to another. For the sake of ease of understanding, let’s assume is 24 hours. What this means is that you should not enter your farm till after 24 hours of spraying the chemical to avoid being contaminated with chemical remains on the leaves. I wonder who follows this but it is good if you follow it for your own health. Lastly, if you have two little ‘Mario’ at home like myself, don’t place the chemical container carelessly at home. If ingested, it could cause quick death. I hope you have gained a lot from this article. If so be kind to leave comment below and watch out for other educative articles on this blog. In case of any question as well, feel free to post and get response quickly from us or any other expert around the world. Cheers!